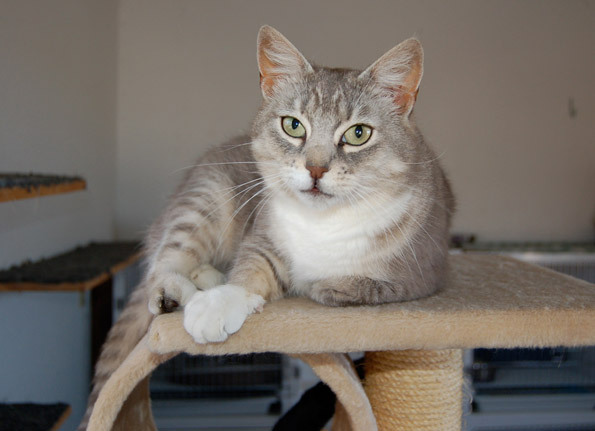 Bunny is one of the nicest, sweetest, and prettiest cats we’ve ever had the pleasure of knowing. 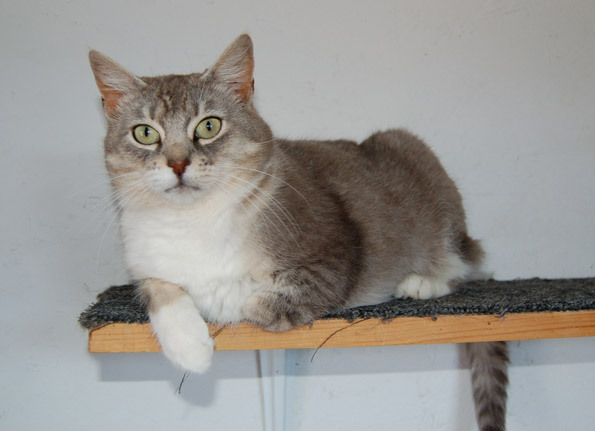 She came to us from the animal control shelter in Spokane County, Washington, where she had been picked up as a stray. She was missing her left front foot. The wound had long since healed, and we don’t know if she lost her foot to a trap or some other trauma. Like all of our three-legged ones, Bunny’s disability doesn’t slow her down at all. 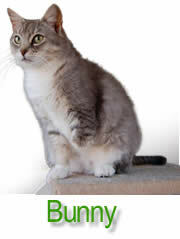 Bunny gets along with all the other cats, and is a mellow doll of a girl. 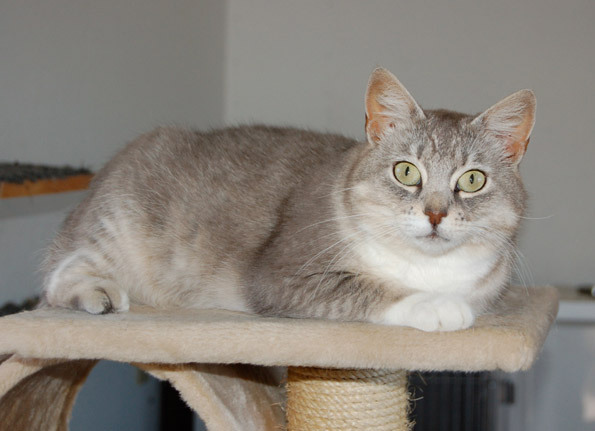 She is just a gem of a cat, and with all of her wonderful attributes, how she ended up as a stray and unclaimed at the shelter amazes us. And here’s the best news: Just before we posted her page on our Web site, Bunny was adopted by a wonderful couple who are long-time supporters of the ranch. Guess where they live? Spokane! So Bunny is now back in her hometown, but enjoying a new life where she’ll be safe and loved forever.